Deciduous. Height 40 feet to 80 feet. Trunk diameter 2 feet to 3 feet`. Although generally smaller than its relative, the black walnut, the butternut may grow as tall as 100 feet with a trunk diameter of 5 feet. Distribution: from Maine south to Virginia and west to Iowa and Missouri. Not a common tree in any area, it grows well in the rich moist soil of stream banks and on low rocky hills. It doesn`t grow in the coastal regions at all. The majority of butternut harvested for timber is found in the North Central States. It is an all American "heartland" species. Butternut is naturally compared to its more valuable relative the American black walnut. It is often referred to as "white walnut" because its wood is light in color. It has a warm buttery tan color that is very appealing. Its most distinctive feature is its wonderful natural luster that becomes even more satin-like when polished. Also it has an exciting leafy grain with many variations running from plain and straight through highly figured patterns-curly, swirly, burly and character marked. It darkens to a rich hue with exposure to air and age. It is only a moderately hard wood and not overly strong but is very stable and does not warp. Also, it is very resistant to insects and decay. Besides its inherent beauty of color and sheen butternut is very easy and rewarding to work with hand tools. It saws beautifully and carves like butter. It glues exceptionally well and finishes to a deep rich satin luster, like no other wood. Specialty wood workers are very familiar with these qualities. Attractive for its looks, butternut is in the upper medium price range. It has limited availability as veneer and lumber. Growing as a single tree scattered throughout the hardwood forests it is a by-product of other hardwood timber operations. Not much is cut annually so it is stocked only in specialty lumber yards. This relative rareness is what makes it so attractive and appealing to fine furniture makers and architects. Butternut is used mainly for its decorative properties-its golden color and matchless luster. In years past it was used for intricately hand-carved wall-panels, furniture and cabinetry. It was the first choice for church decoration and altars. Today it is used for fine interior architectural installations-woodwork, paneling and trim. It is also used for instrument cases. Deciduous hardwood which grows principally in the upland, hilly terrain of the Northeastern and Lake States forests. The yellow birch is the state tree of New Hampshire. A small, fast growing, short lived tree, its average height is 70 feet, and its average trunk diameter is 2 to 3 feet. A forty year old birch tree is an old birch tree. The largest yellow birch in the United States can be found in Deer Isle, Maine. Recorded by the National Register of Big Trees in 1991, it is 76 feet high with a trunk circumference of 252 inches and a canopy spread of 91 feet. 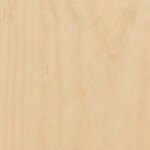 White Birch Veneer: is made only from the very white sapwood. Red Birch Veneer: is made only from the darker red heartwood. Unselected or Natural Birch Veneer:contains a normal combination of both colors of wood from both the sapwood and the heartwood of the yellow birch tree. From canoes to cabinets, wigwams to toothpicks, birch has always had many uses. Native Americans and early settlers, both used its paper thin waterproof bark for house construction, roofing, boat, shoes, writing paper and kindling. 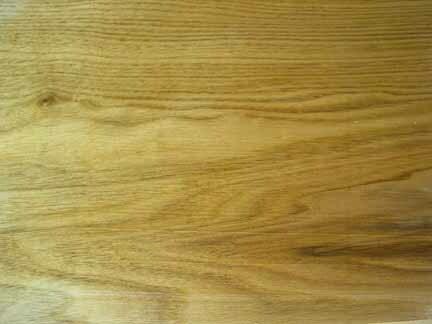 Yellow birch wood was and still is used for sturdy furniture, cabinetry, flooring, paneling and interior finishing. Because of its smooth, dense surface texture, yellow birch wood paints, stains, and polishes beautifully. Birch is a good wood for steam bending: it is used for boxes, containers and baskets. Birch is also a good wood for turning: it is used for spools, bobbins, dowels, handles and toys. The biggest use of birch, today, is in the plywood market. Finish plywood is surfaced with yellow birch veneer. Another predominate use of birch is in the manufacture of doors. It is used extensively as door skins on flush doors and for interior and exterior panel doors. In the 1950`s practically every kitchen cabinet was made from birch. Although not quite so popular in today`s cabinet market, it is still important in the manufacture of store fixtures, school furnishings and contemporary furniture. Because of its excellent availability, attractive price and ease of workability, birch, as both veneer and lumber, remains an important choice in today`s finish hardwood market. Conifer. Second growth eastern white pine trees are typically 80 feet to 110 feet tall. with trunk diameters of 2 feet to 4 feet. Eastern white pine is the largest of the northeastern conifers. Old growth pine trees can exceed 200 feet in height with trunks 9 feet in diameter. The two largest eastern white pines are located in Marqquette, Michigan. The tallest is 201 feet high. The broadest has a trunk circumference of 202 inches and a branch spread of 64 feet! A very large tree with relatively few horizontal big limbs, the Eastern white pine is one of the tallest timber trees in the Northeast. The trees grow in large pure stands. The wood is light, soft, straight grained and with very uniform texture. It is not as resinous as other pine woods. It is easily kiln-dried with small shrinkage. The color of the wood is white to pale yellow with a reddish tinge. It darkens with age and air exposure eventually turning to a deep orange color, hence it`s nick name "pumpkin pine." Eastern white pine has been intimately associated with New England since the Pilgrims landed in 1620 . Practically all of this pine is converted into lumber. Once used as a seemingly endless supply of timber for the construction of houses, barns and stables, its many fine characteristics soon became apparent. It works very well and is easily shaped with hand and power tools. This wood accepts many types of glue well, making for tight bonding. Its paint holding capacity is superior. It has excellent nail and screw holding capacity. The wood seldom checks or splits when all variety of fasteners are applied. Used for centuries in New England`s wooden buildings, this native specie remains in demand. Customers are attracted to it for its traditional and historic uses in home interiors for wide board flooring, exposed beams and knotty pine panels. Its versatility and variety of application is hard to beat. It is affordable and readily available. Historically Eastern white pine was used for masts of ships and wooden boat building. In the 17th and 18th centuries virtually every building erected by Colonial Americans was constructed with Eastern white pine... inside and out. Our familiar and distinctive New England architecture owes its character to this abundant and versatile wood. Today it is used in vast quantities for construction and home building: posts, beams, studding, wide board flooring, sash, doors, trim, interior moldings and paneling. It is used as the secondary wood in the manufacturing of furniture together with the expensive primary hardwoods. The highest grade lumber goes into patterns for casting. The lower grades are used for containers and packaging application. In between are endless other uses some of which are: toys, caskets and burial boxes, shade and map rollers, dairy and poultry supplies.